Please stay for post-film discussion with Raj Karmani, Founder/Chief Impact Officer, Zero Percent, as well as the Lakeview Food Pantry. Facilitator: Kristen Pratt, Sustainability Manager at Chicago Academy of Sciences and its Peggy Notebaert Nature Museum. Refreshments, and concrete opportunities for action will also be shared by the panelists and the Chicago Conservation Corps. FILM DESCRIPTION: A 2015 fan-favorite, "Just Eat It,” is back by popular demand for a OEFF 2016 Encore Screening! 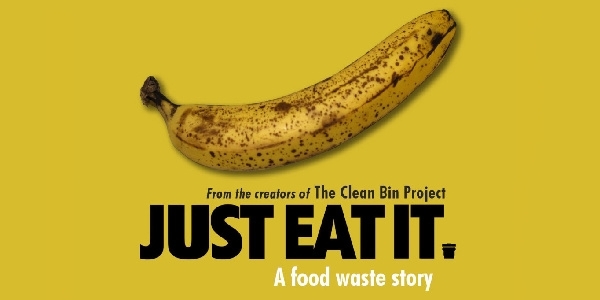 An award-winning documentary about the staggering amounts of food that go to waste in households and farm fields, "Just Eat It" was one of three audience favorites in the online balloting that began the weekend of One Earth Film Festival 2015. A five-person jury screened three films, reaching the decision to select “Just Eat It" as One Earth Film Festival 2015 First Choice winner. Acclaimed documentary “Just Eat It” uncovers the world of rejected, ‘ugly’ but otherwise delicious food wasted at every level of the chain from farm to retail to our own fridge. Despite the growing number of people experiencing hunger and food insecurity, the culinary pursuit of beautiful food comes at the cost of millions of pounds of wasted edibles. Learn what change is being made and how you can modify your own food habits to reduce waste.